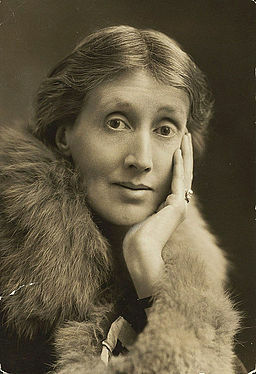 Virginia Woolf wrote a handful of renowned classics, including Mrs. Dalloway, To the Lighthouse and Orlando. To this day, she remains one of the most notable British writers of the 20th century. However, despite her incredible talent with words, Woolf also suffered an incredibly strong case of depression. Throughout her life, this depression would appear in bouts and, unfortunately, was the cause of her death on March 28, 1941, when she tragically committed suicide at the age of 59 years old. In this month's Dash from the Past, we'd like to commemorate the legacy of the talented and insightful Virginia Woolf. 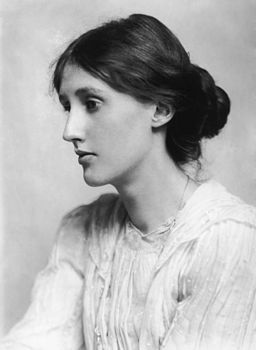 Virginia Woolf was born on January 25, 1882, as Adeline Virginia Stephen. Her parents were wealthy and well-connected in uppercrust British society. Her father was a historian and author; her mother, a model, nurse and author. Along with wealth came notable connections and Virginia, along with her handful of brothers and sisters, were educated in their spacious Victorian home by some of the most brilliant minds in 19th century Britain including William Thackeray and George Henry Lewes. As a child, Virginia was regarded as curious and playful. Much of her inspiration for her world-renowned novels came from childhood memories- most notably her family's summer vacation house in St. Ives, England. She showed signs of a promising writing career at a young age when she jokingly started a family newsletter, the Hyde Park Gate News. The depression that eventually took Woolf's life had very early roots. In her essay A Sketch of the Past, Woolf recounts being sexually abused by her half brothers George and Gerald Duckworth for several years growing up. When she was 13 years old, her mother passed away from a bad case of rheumatic fever, followed by the death of her half-sister Stella a few years later, all of which are presumed by scholars to have contributed to her lifelong mental health issues. Despite her rocky and traumatic childhood, Woolf went on to study at the prestigious King's College London. There she was also introduced to feminism, which inspired much of her writing. "As long as she thinks of a man, nobody objects to a woman thinking." Her professional writing career began at the young age of 23 for The Times Literary Supplement. A few years later, Virginia met Leonard Woolf, with whom she fell passionately in love. They married in 1912. In 1915, after working on it for nearly a decade, Woolf released her first novel, Voyage Out. Only two years later, Woolf established Hogarth Press, operated out of her and Leonard's home. Not only was she a brilliant writer, but she was also the head of a successful publishing company. Hogarth Press published works from other influential authors of the time like T.S. Eliot and Sigmund Freud. "I would venture to guess that Anon, who wrote so many poems without signing them, was often a woman." "A woman knows very well that, though a wit sends her his poems, praises her judgment, solicits her criticism, and drinks her tea, this by no means signifies that he respects her opinions, admires her understanding, or will refuse, though the rapier is denied him, to run through the body with his pen." 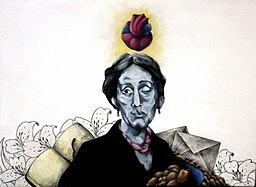 In addition to the fearless way in which she covered controversial topics, Woolf was also known for her expert use of several advanced literary techniques, including stream of consciousness storytelling, free association prose and unique narrative perspectives. She was praised for her expert use of these techniques, as well as her ability to weave dream-like narratives into tense plot lines. Woolf wrote confidently, which translated into her captivating stories and gained her the respect of critics and her audience alike. Woolf reportedly suffered from extreme depression and sudden mood swings for her whole life. Her husband, Leonard, was able to recognize when Woolf was in a particularly low place, frequently keeping her in lifted spirits and supporting her in every endeavor. Though he loved her very much, he wasn't able to save her. In 1941, Woolf filled her coat pockets with stones and walked straight into the River Ouse. She was swept away in the tide and her body was eventually found three weeks later. "Someone has to die in order that the rest of us should value life more." The topic of death wasn't something that Woolf regularly shied away from. Although Woolf's death was tragic, her contributions to both feminism and contemporary literature will never be forgotten.